Description: Our mini backboard is sized just right for mounting on a bulletin board, bedroom door or headboard for hours of fun slammin' and dunkin'. 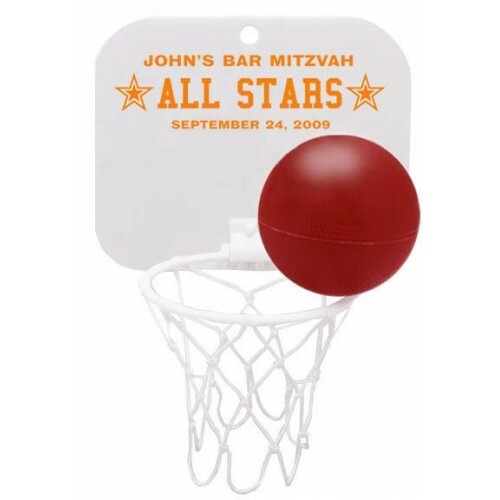 Each white backboard and net measures 9" tall and 7.25" wide and the 3" inflatable ball comes with a needle for easy inflating. Includes 4 adhesive wall mounts, and the net folds up for storage.